After living together for seven years, third- year physical therapy students Marie Frey and Lauren Szmak have formed a strong friendship and created a capstone project, Hoops for Haiti, that is benefiting a developing nation. A capstone is a personal curriculum, experiment or project that graduate students can create, which forms a unique and valuable component of their school experience, according to Quinnipiac’s medicine doctor [MD] curriculum. Frey and Szmak have joined the Haiti Rehabilitation Foundation and its development of the physical therapy school in Haiti. “Right now, we had one class and we just accepted our second class the day before the hurricane started,” Szmak said. Forty-five students reported to the school and will be split between nursing, physical therapy and occupational therapy. The purpose of the project is to raise funds for student scholarships. Education in Haiti is cheap with American money but is rather costly for Haitians, according to Szmak. 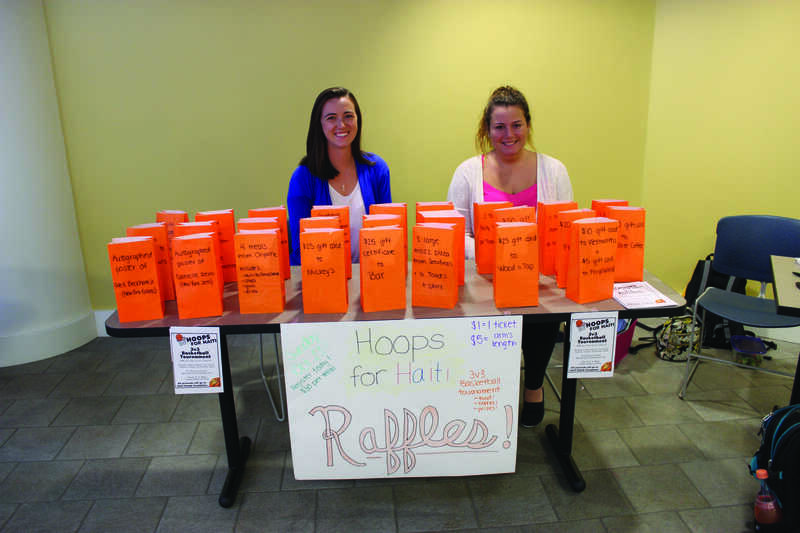 Marie Frey and Lauren Szmak run the Hoops for Haiti raffle table. Two former graduate students started the project the previous year. This year Szmak and Frey took over the curriculum, planning and fundraising for tuition, according to Frey. “Marie’s younger sister is actually really involved in basketball so we’ve been to a bunch of her games and when we were there we thought, ‘Wow, Hoops for Haiti just rolls off the tongue’ and would be a great thing to bring to Quinnipiac,” Szmak said. It was pre-established that Haiti would be the focus of Quinnipiac’s capstone project, according to Szmak. “When we pick our capstones, we can pick from a list of ones that are pre-established already or we can come up with a new one. 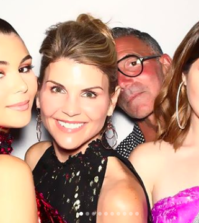 We saw that on the list and thought it would be nice to get involved in a philanthropic kind of capstone rather than doing an experiment,” Frey said. The tournament will take place on Oct. 23 from 10 a.m. to 3 p.m. in the Burt Kahn court on the Mount Carmel campus. Students can form teams of five for the 3-on-3 tournament. There will also be a knockout tournament for those who are not as competitive. Raffles will take place during the tournament, according to Szmak. Frey and Szmak have been reaching out to student organizations and advertising across the three campuses to get the word out about their event. 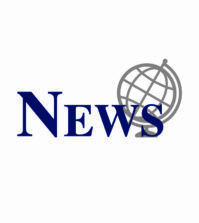 “We’ve also reached out to Yale, University of New Haven, Southern [Connecticut State University], Sacred Heart University and [University of] Hartford,” Szmak said. The event is open to the public, according to Szmak. “We’ve also reached out to high schoolers and the athletic directors at the majority of high schools nearby to get them as well. 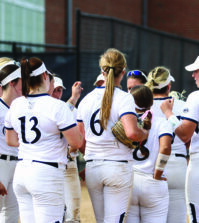 We want anyone and everyone to join in,” Szmak said. Knicks. Toad’s also offered tickets to its concerts and vintage T-shirts which are actually pretty great,” Szmak said. Associate Director of Intramurals Michael Medina and the basketball coaches held a tournament for the freshman class that got between 15 and 20 teams, according to Szmak. With the event being open to the public, the duo is hoping to achieve the same number of teams. All funds raised will go directly toward students’ tuition, according to Frey. Those interested in participating in the event can email Quinnipiac.hrf@gmail.com to register a team. Donations are being taken on the Quinnipiac PT for Haiti Rehabilitation Facebook page and on the Haiti Rehabilitation Foundation website.